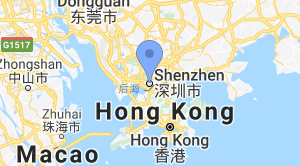 Our company locates in Shenzhen,China. We own our designing,manufacturing and selling teams. Currently, Jaste Solar is already exported to America,France,Australia,Kenya,South Africa, Brazil and 20 other countries and regions. Jaste Solar regards "make customer's import business more easily" as tenet. Providing high quality products and good after-sales service.We hope to cooperate with more customers for mutual development and benefits. Welcome to join us!